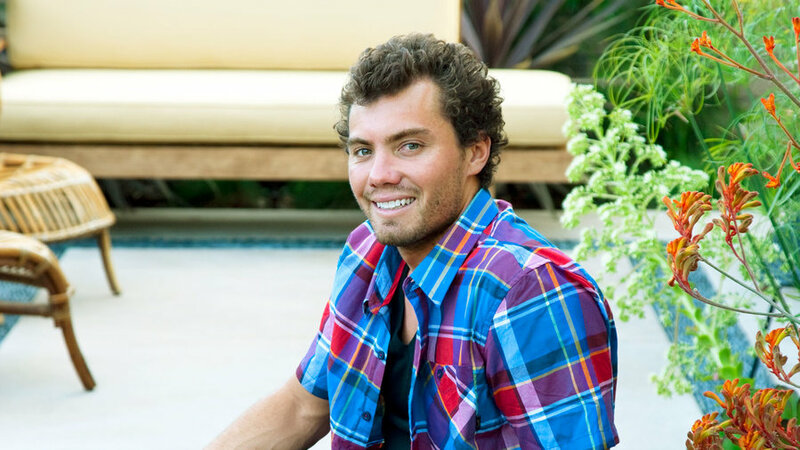 Pro surfer Timmy Reyes, 27, spends his “work” days up in a plane or on the water, not at home in Costa Mesa, California. He needs a yard that can fend for itself for weeks at a stretch. 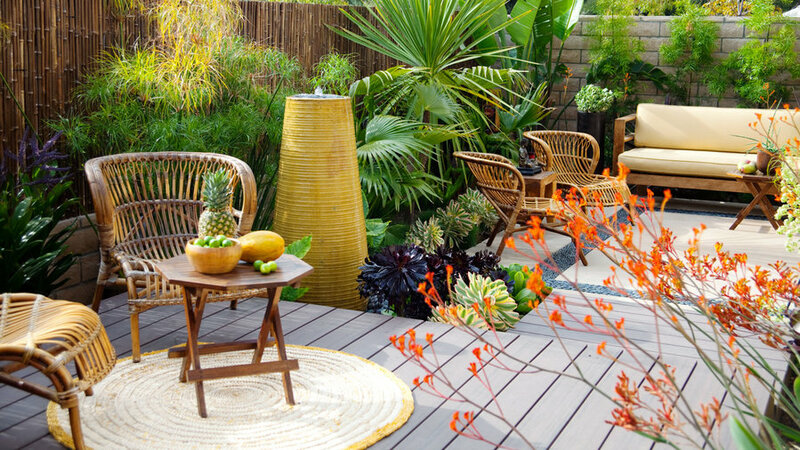 Design to the rescue: Easy-care plants and materials create a garden that can fend for itself for weeks at a stretch. Click ahead to see how durable furnishings, bulletproof plants, no-fuss flooring, and clever details make it work. 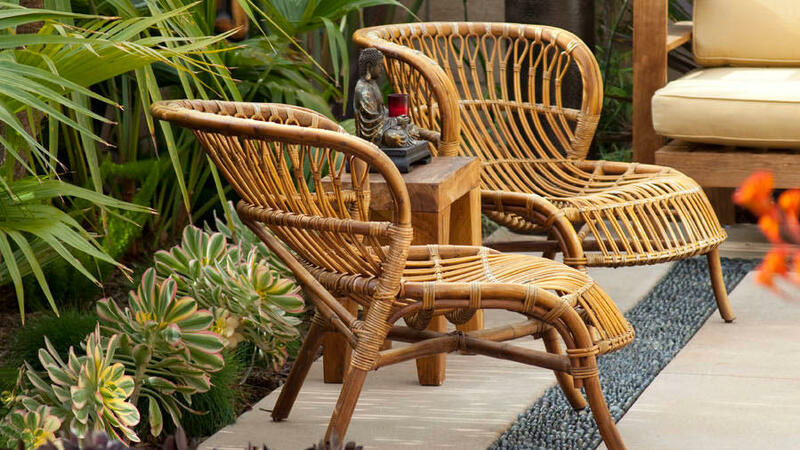 Rattan chairs are fairly inexpensive (Pier 1 Imports sells similar ones for $150) but don’t weather well. To protect them from sun and rain, designer Brooke Dietrich coated them with marine spar varnish. 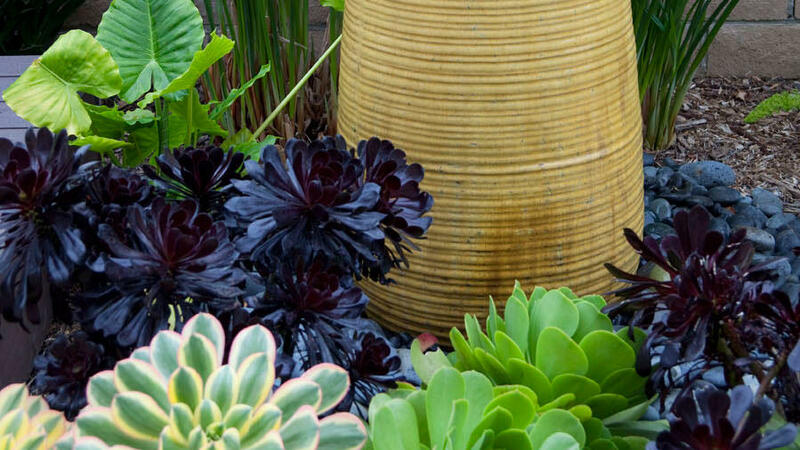 These aeoniums, papyrus, cordylines, kangaroo paws, and small palms need no fertilizer or pesticides—only occasional watering by a drip system and a little pruning. They also easily tolerate shifts from sun to rain. An imposing cement-block wall made Reyes’s yard seem small. 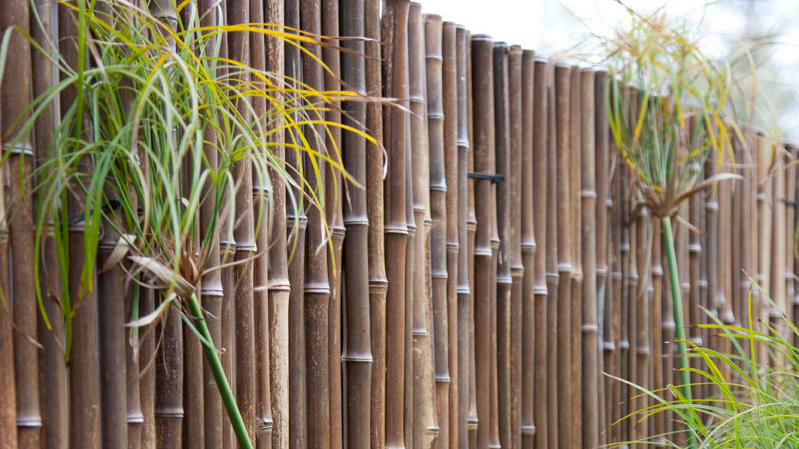 Rather than replacing it, he chose a cheaper, faster option: Cover it with bamboo fencing (calibamboo.com). The deck is made of Trex, a composite of wood and plastic that needs no refinishing and doesn’t splinter or rot. A hose, brush, and soapy water are all that’s needed for light cleaning. 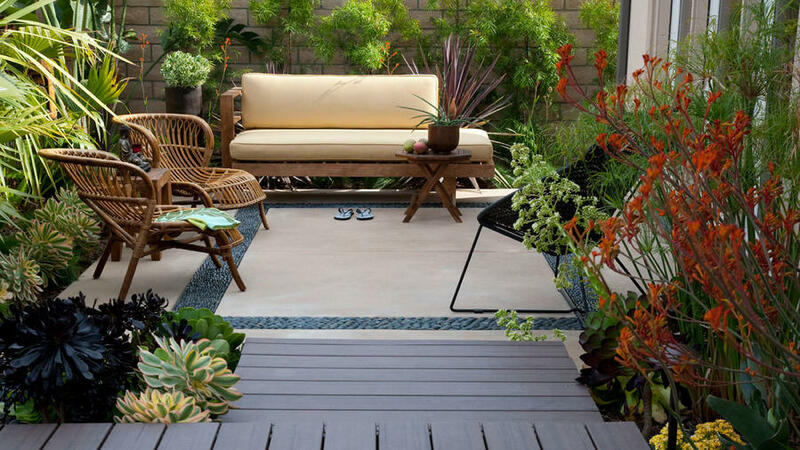 A poured concrete patio like this is practically ​maintenance-free. 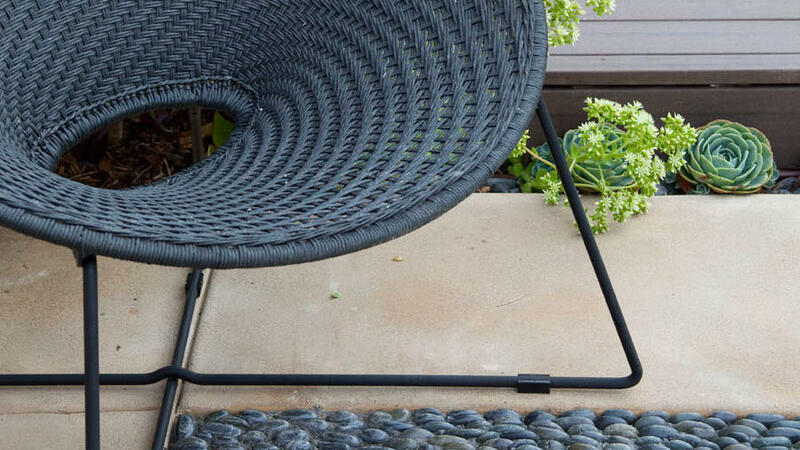 And it doesn’t have to be boring; a wide band of black river pebbles makes this one look like a bold area rug. Pro surfer Timmy Reyes relaxes in his no-chores backyard.